Comment: i need to replace a gutter, 13 feet long. Comment: Repare or replace second floor gutter and first floor at entry. Comment: We have a sagging gutter and have leaking inside the home. We would also like the gutters cleaned. Bethel Gutter Cleaning & Repair Services are rated 4.78 out of 5 based on 633 reviews of 19 pros. 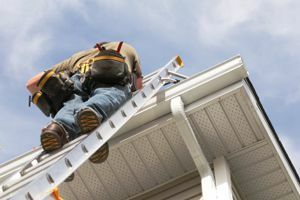 Not Looking for Gutters Contractors in Bethel, CT?